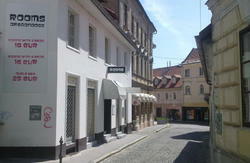 FROM THE 30.7 UNTIL 21.8.2013 TRNFEST IN LJUBLJANA STAY AT CLOSEST LOCATION, ALL ROOMS WITH AIR CONDITIONING AND FREE PARKING. 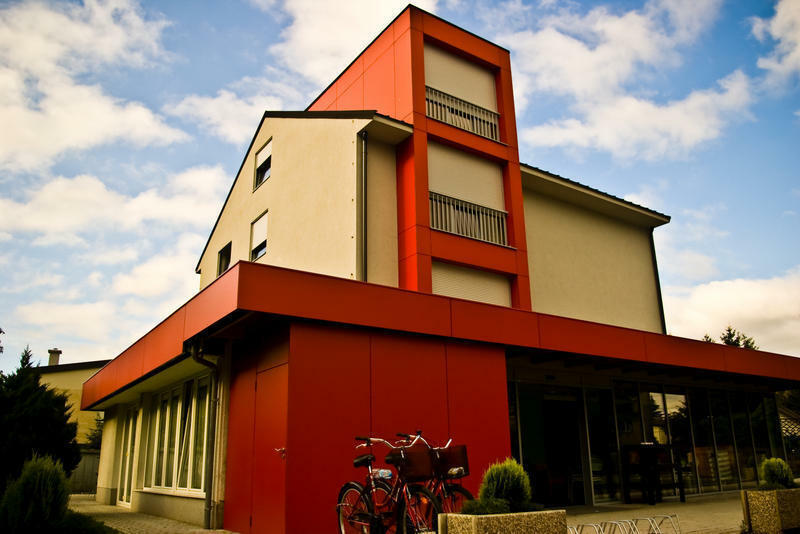 Youth hostel Simbol (Symbol) is set in a quiet and green part of South-Eastern Ljubljana, close to the Church of Trnovo and the Ljubljanica river. Ljubljana is a gorgeous small town with 250.000 residents and all destination are reachable by foot. Its a leisurely 10-minute walk from Simbol to the beginning of the old part of the town center (Trnovo),which starts at the Church Of Trnovo.Within a 5 minutes walk from the Church of Trnovo you get to the town center,walking through the old part of the town center past many pubs and restaurants along the Ljubljanica river. Buses run every 3 minutes to the very center,which means only 4 or 5 stations before reaching it. A very good choice is also a taxi,which costs only 5 because of the short distance. PLEASE NOTE: your arrival time is important to us. Please be careful when you make a reservation and in the case something changes please let us know. Our reception works from 8 A.M. to 11 P.M. We can arrange check in also during the night but you have to inform us in advance. Tourist tax (1,01 eur) not included in price. Check in after 8 P.M. Check in after 11 P.M. IN SUMMER OUR CUSTOMERS CAN ALSO RENT BICYCLES FOR ONLY 4 PER A DAY. * transfer (Matej) from bus/train station to the hostel! All our customers who decide to stay in our hostel are OFFERED A RIDE TO THE HOSTEL for 1 per person (from 10pm 3 per person) AND A SHORT SIGHTSEEING TOUR OF THE TOWN CENTER from any Tourist Information Center (TIC) in Ljubljana. 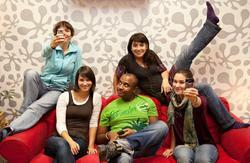 Our youth hostel can accommodate 55 people in nice,newly decorated non-smoking rooms. Each room has a computer connection and an option for internet (you can use it for free). You can also use the kitchen (24/7) to warm things up etc. shared bathroom and toilets. A FREE PARKING SPACE IS ALSO ASSURED. UPON ARRIVAL WE ACCEPT ONLY CASH. 1.) When reaching the Slovene capital visit a TIC (turist information centre) at following locations: a) LjubljanaRailway Station (open 8-22), b) Tromostovje- by three bridges (8-21)-ask the informant to contact the hostel manager (Matej). 2.) Take the bus no.9 (bus stop called KOLODVOR),which departs from the Railway Station every 5 minutes, and get off on the 6th stop (bus stop called KOLEZIJA).Than walk staight ahaed for about 100 m to the traffic light (there is the excange office), turn left and walk 300m to the 2nd traffic light. Then you walk about 20m straight ahaed and you can see our red house, this is hostel, being the 2nd house on the right, opposite the Mercator store. 3. )From the town centre enter at the bus stop Konzorcij (on the same side as Nama store) get on bus no.1 (headed from Mestni log) and get off on the 6th stop (Gerbiceva ), carry on by foot to the traffic lights,turn right, where the 2nd house on the right is Simbol Hostel. 4.) Everyone arriving by car, leave the ring at Ljubljana-zahod (!) and turn left at the crossroad, turn right the 3rd traffic lights, continue straight ahead and after the 2nd traffic lights the Simbol hostel is the 2nd house on the right. Do not forget to contact us beforehand to inform us about the time of your arrival, where you are coming from and how (by plane, train, bus) so we can work out the best solution for you. We can also arrange transport from Ljubljana airport. You can also inform us when you are comming and we can drive you the hostel.